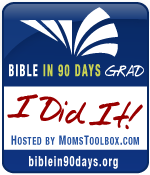 I read the entire Bible cover-to-cover in 90 days! Well, 86 days to be exact! What a wonderful, worthwhile accomplishment! Why did I do it? One big reason was the fact that I always seem to list The Bible as one of my favorite books, but I've never read it cover-to-cover. All the other books I have on my list I've read, sometimes many times over. Sure, over my 40 plus years (cough, cough), I've read many, many verses over and over but there is no replacement for reading it as a complete book. What did I learn? The Bible in 90 Days is strictly a reading program. Simply read each day, no study. However, I learned so much just by reading God's Word. Things I've never noticed before jumped off the page, Biblical history seemed to fall into place for me, verses and stories I've known by heart for years seemed to have new meaning. How did I do it? With the help of Amy at Mom's Toolbox. She has put together an awesome ministry to guide you every step of the way. With the help of a great team and mentor. Once you sign up for the challenge, you are assigned a group of ladies that will be going on the journey with you and will also have a mentor (Thanks, Sue!) who has already completed the challenge successfully. Each Monday you are required to check in and say how you are doing. If you are behind, your team gives you encouragement. If you are on schedule or ahead, you motivate others. I am so happy I went on this journey! I did it and YOU can too! Thumbs Up to Visual Latin! This year we are learning some Latin! I say we because I am learning right along side the kiddos! The only foreign language I ever studied was French. I took 3 years in high school, but,sadly, can only speak a few words today. 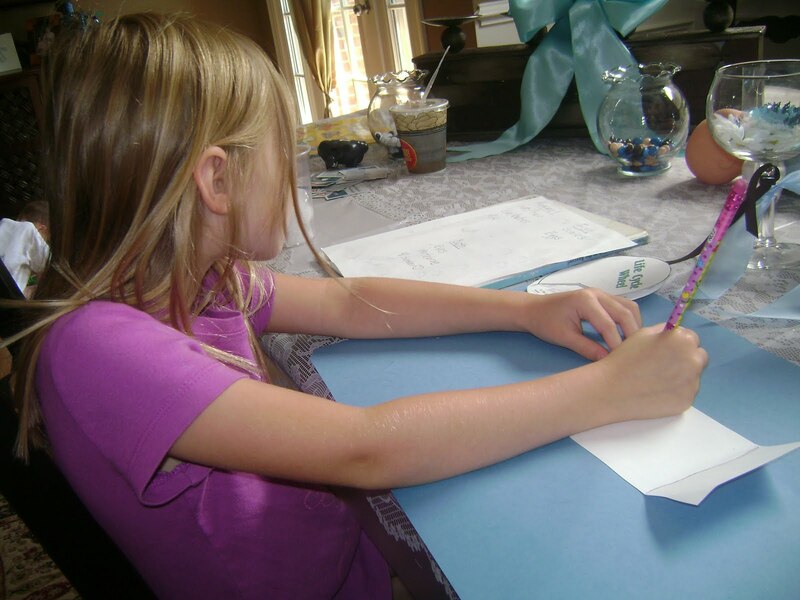 In my many hours of homeschool curriculum research, I see many families incorporate Latin as their first foreign language and they start at a young age. I've wanted to slide it into our schedule but honestly I've been intimidated since my knowledge is a big FAT goose egg! Luckily, in our Classical Conversations class, Latin is covered- we are learning enough to translate John 1:1-7, but I felt we needed a more thorough background. Enter VISUAL LATIN! A couple of weeks ago we were sent a DVD copy to review courtesy of Timberdoodle. At first, I wasn't sure it would be a great fit since the kids are only 6 and 4. There aren't any cartoons, it is very straight forward. The videos feature "The Latin Teacher" in front of a black board. That's it! He is very engaging and humorous and keeps with the KISS principle I learned in business school - Keep It Simple Stupid! The simplicity is what makes this such an awesome program. My 6 year old begs to watch her Latin now. In fact, I will catch her pretending she is the Latin teacher. Even my 4 year old will sit and watch for far longer than I ever imagined! The first 4 introductory lessons cover the following topics: Why Study Latin? Latin Then & Now, How to Learn a Language, and Stuff About Latin. I highly recommend taking the time to watch these lessons! I especially enjoyed the Why Study Latin? section. He highlights many of our English words that are derived from Latin. Studying the Latin, can totally change how you view some of our common everyday words! Very insightful! 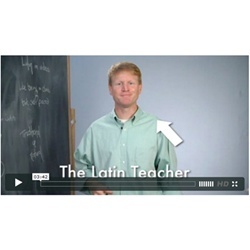 Each Latin lesson is divided into 3 sections: Grammar, Sentences, and Reading. A definite plus for this program is each section's video only lasts about 10 minutes! This short time commitment allows it to fit easily into our schedule. 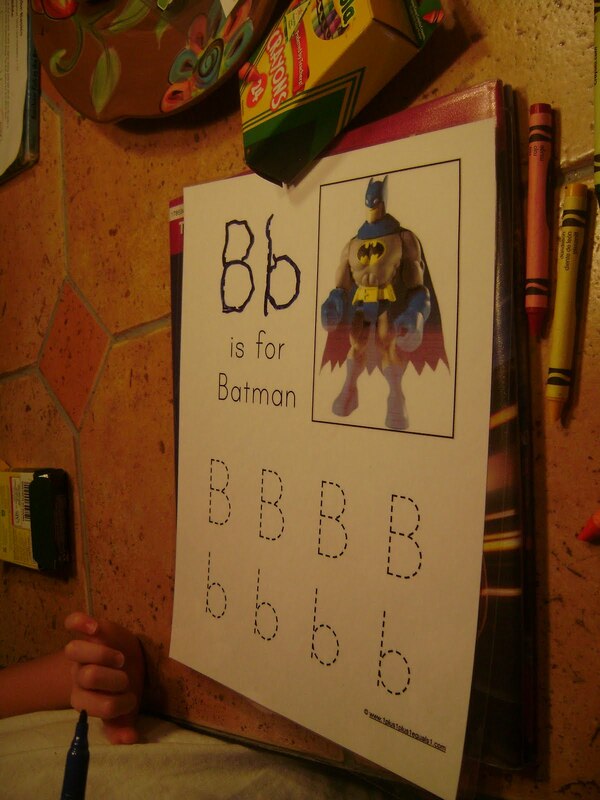 Each section also has a corresponding worksheet to print. Since my kids are still young, we do one section plus worksheet 3 days a week. That way we complete one lesson each week. If your student is more advanced, it would be very doable to complete an entire lesson in one sitting. Since I'm learning along with the kids, I always watch the videos with them. However, it could be a completely independent program, especially with those that are very proficient readers. 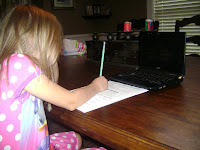 My 6 year old can fill out the worksheets with my help. If you are looking for a Latin program with a lot of bells and whistles and entertainment value, this program probably wouldn't appeal to you. 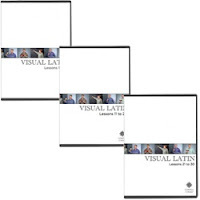 If you want a basic, straightforward program that is very easy to incorporate into an already busy schedule, give Visual Latin a try! I'm glad we are and I can't wait to see our progress. 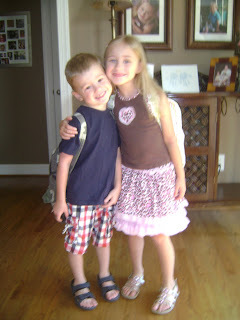 School Year in Full Swing! "B" is for Batman tracing fun! 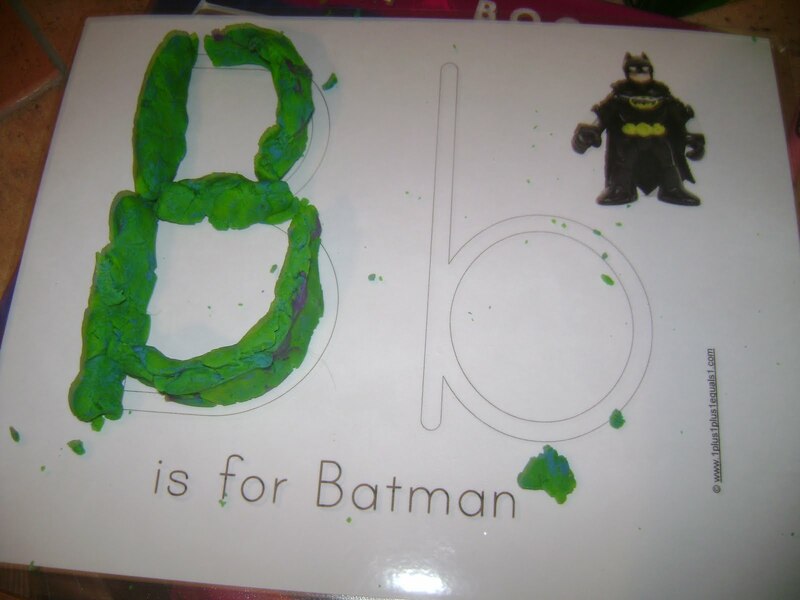 Forming his letters with play-doh! One proud boy after doing his Batman Color by Number all by himself! ﻿One thing I'm doing more of this year is letting the kids pick a subject they want to learn more about and do a unit study using lapbooks. 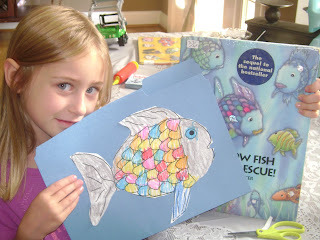 Livy decided she wanted to study about the ocean and fish after checking out Rainbow Fish from the library. Working hard on Mammals vs. Fish! I found some great printables for our book via Homeschool Share! 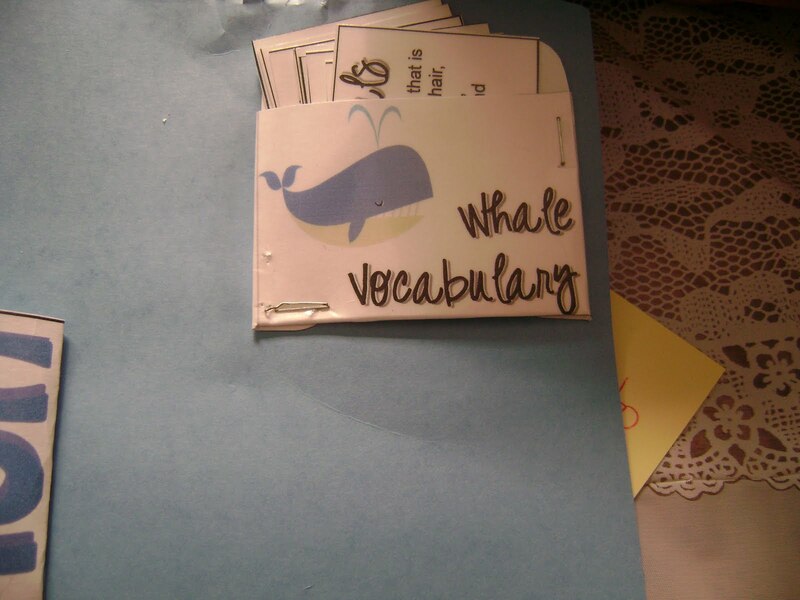 We added a Fish life cycle wheel and whale vocabulary cards. Stay tuned for more Ocean Life activities! Showing off her Lapbook cover art! 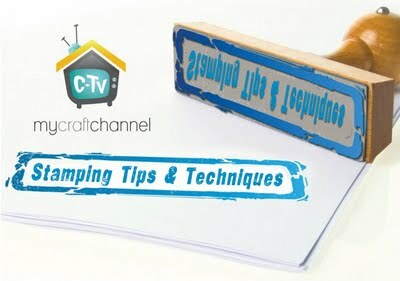 Only 3 days left to enter to win at My Craft Channel's blog! I know I could really put a Cricut Expression 2 to good use around here, especially since I now have a craft space! Make sure you follow My Craft Channel so you can watch the awesome show line up they will have this fall..they are taking crafting to a whole new level with internet t.v. I know I can't wait! 2011-2012 Curriculum - a work in progress! Our main curriculum will be Classical Conversations Foundations Cycle 3. We are so excited to join our new, local CC community this fall! Phonics/Spelling: All About Spelling 1 (we are finishing it up now) then will move to 2, First Language Lessons, Hooked on Phonics. We will also be reading the Little House on the Prarie Series as read alouds. Latin: Latin's Not So Tough! 1. FREE box of BALL Fruit Pectin! Go here to get yours. Perfect timing for some jam making. See my post on how easy it is to make! 2. FREE Ruby Tuesday Fresh Garden Bar add on to an entree! Go here, log in with your Facebook account and get the coupon. HURRY, all these Ruby Tuesday deals go super fast! 3. Chance to win $100 CVS Gift Card! 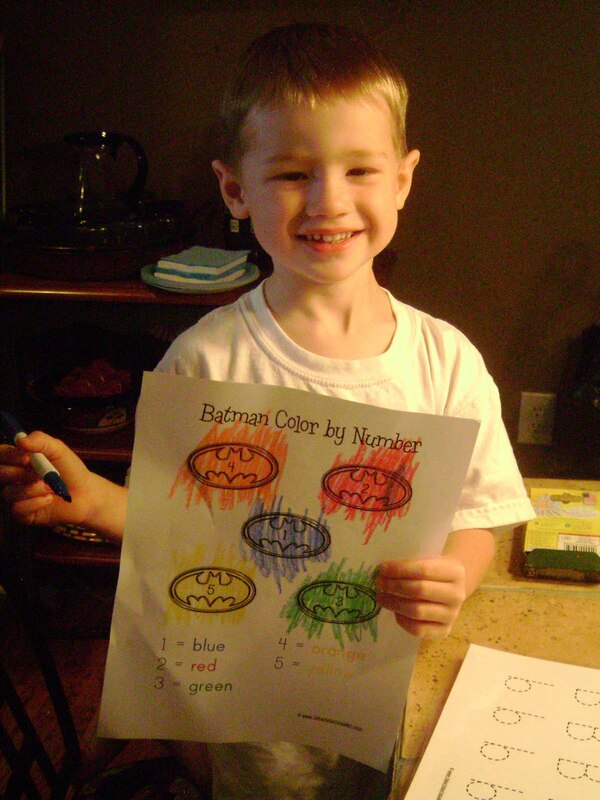 Wow, wouldn't this come in handy at back-to-school time! It's simple: for every 10,000 new "likes" on their FB page, they will give 10 fans a $100 gift card. You must "like" them, then sign up on the Summer Sweepstakes tab with your Extra Care Card # and corresponding email. Good luck! 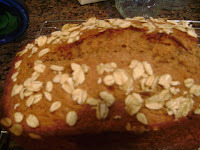 This morning was a "Banana Bread kinda morning"! I had a couple of over ripe naners staring at me so decided to make my fave recipe. This bread is made with whole wheat flour but is so light, not dense at all. I don't dig nuts in my bread, so I sprinkle some rolled oats on top for some crunchiness instead, but if you're feeling nutty feel free to throw a 1/2 cup or so into the batter and sprinkle some on top! Preheat oven to 350 degrees. Mix dry ingredients until blended. In a separate bowl, mix wet ingredients until well blended. Pour wet ingredients into dry and mix well. Pour into greased loaf pan. Sprinkle the top with rolled oats. Bake for 1 hour. That's it! So easy, yet so yummy! The middle is light and moist, while the outside has just the right amount of crunch. I like to spread a little Smart Balance on mine while it's still warm :) Enjoy! I'm a Southern gal through and through; married to a handsome soldier boy and mommy to a beautiful little princess and one rough & rowdy little boy. 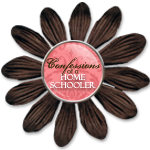 This blog will chronicle our every day adventures of saving money, homeschooling, crafting, cooking and everything in between!